Looks like Google is a mood to make a lot of changes in its way of working. It has today announced a major shift in its policy relating to Privacy. Google will be getting rid of over 60 different privacy policies across Google and replacing them with one. 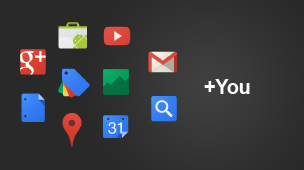 Starting March 1st 2012, Google will start tracking all the users across all its services like Google Search, Gmail, Google+, YouTube, etc and share data on user activity across all these services. What this means is that Google will now use and share your data from one service across all services. Google already has the rights to scan your Gmail, to provide you with relevant ads. Now apart from just knowing what kind of emails you are sending they also combine this information with, which maps did you search for, which videos or images did you view, what did you search for, what did you talk about on Google+, and so on. All this data will be collected by Google and centralized and shared. The idea behind this, says Google is to give you a better user-experience and provide more personal results – or read it the other way – to deliver more tailored high-paying ads to you! Bottom line? Whatever you do starting 1st March will be associated with you, your face, your name, your account! And the best part? There is no option to opt out! If you wish to continue to use Google’s services, you have no choice but to agree to all their conditions. Well, they have always offered the choice to take your information elsewhere via Data Liberation, if you dont agree to their policies! You may want to check out this post on how to opt out and maintain your privacy when using Google Search and services. …WHICH IS ANOTHER REASON TO NOT USE GOOGLE. I USED IXQUICK.COM, WHICH INTEGRATES INTO IE OR FIREFOX AND DOES NOT TRACK YOU. I searched Google to check out the availability of air tickets from Miami to New Orleans. After a while I started browsing some websites and do you know which ads I saw on some site? “Fly from Miami to New Orleans at the lowest airfares. Book Now”. Coincidence? Should I be happy or concerned?